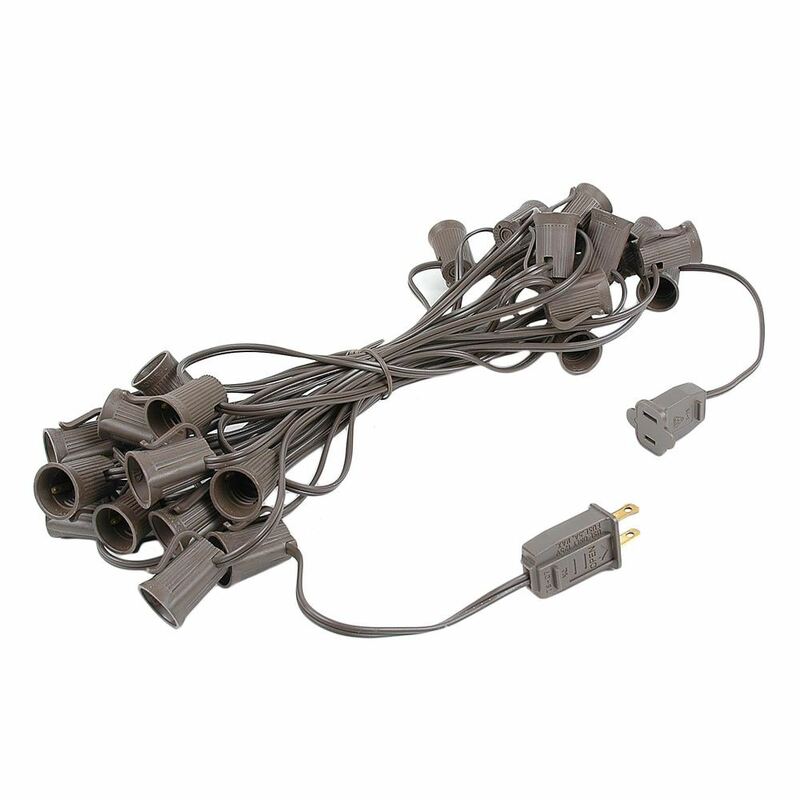 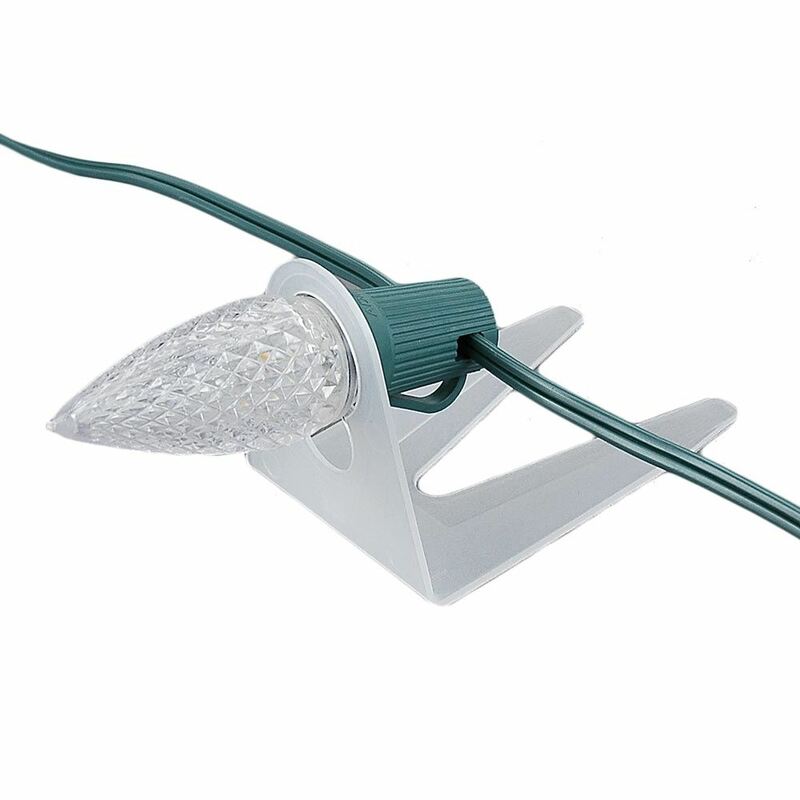 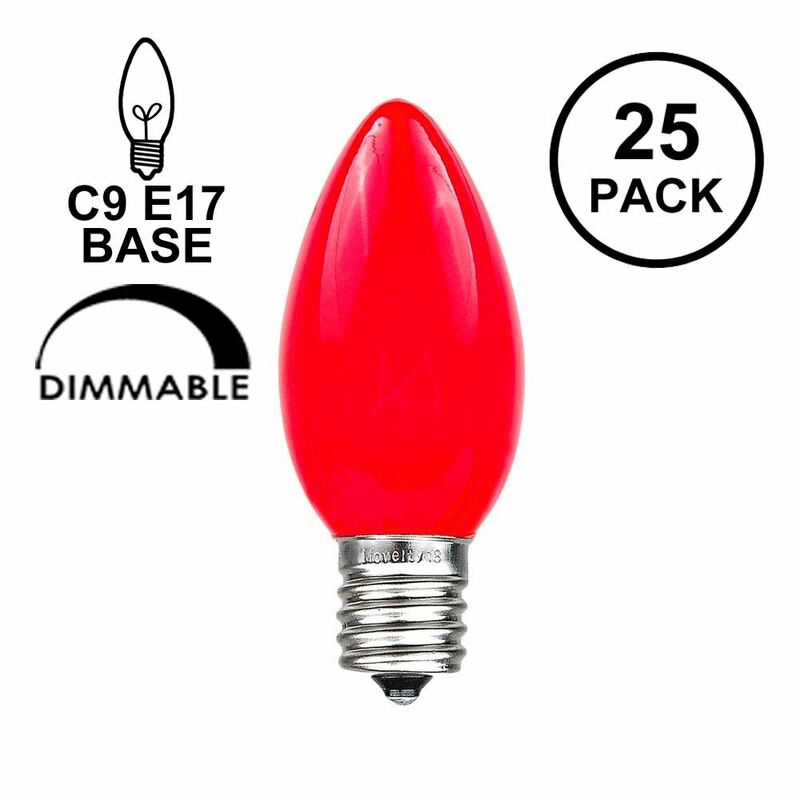 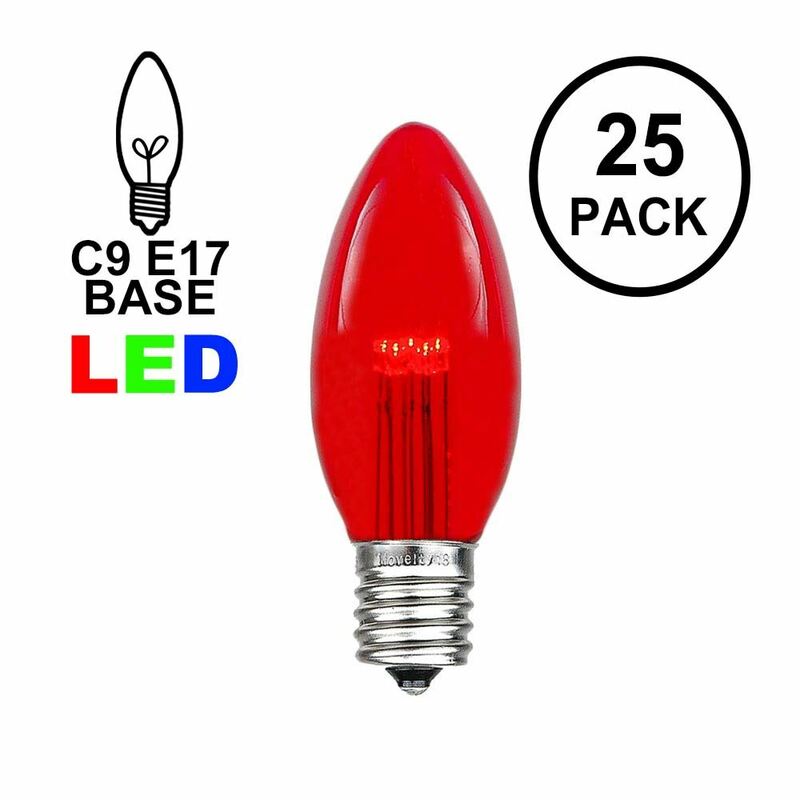 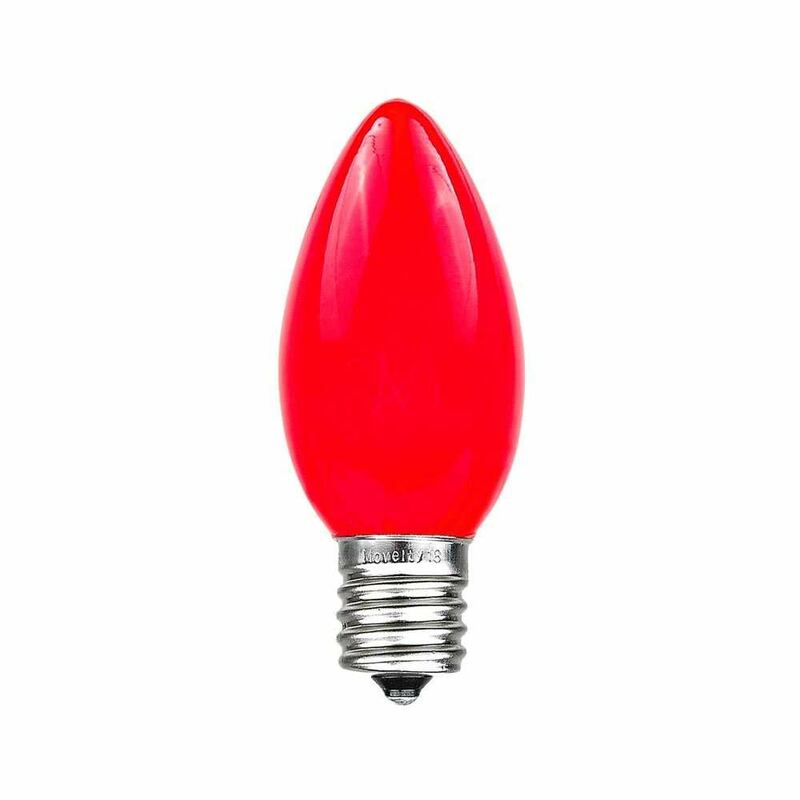 White ceramic C9 string light set with 25 bulbs, perfect for outdoor patios, decks, special event or Christmas lighting. 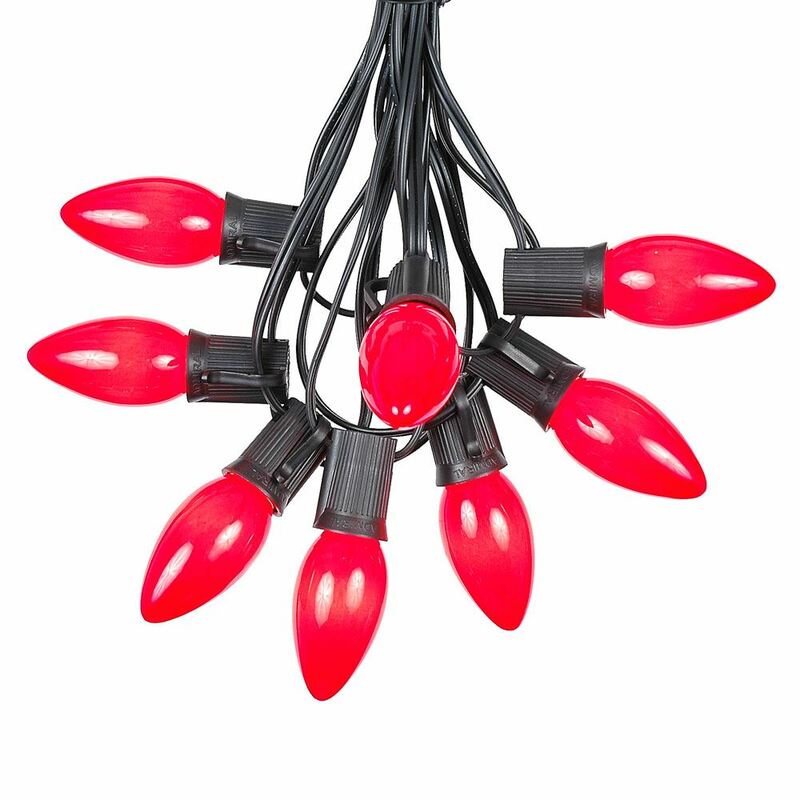 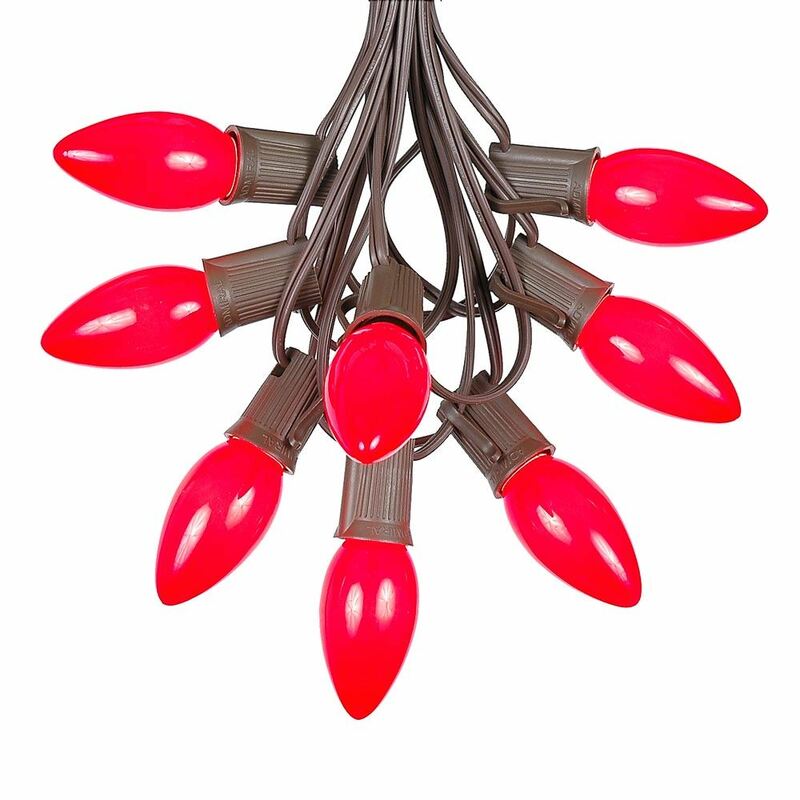 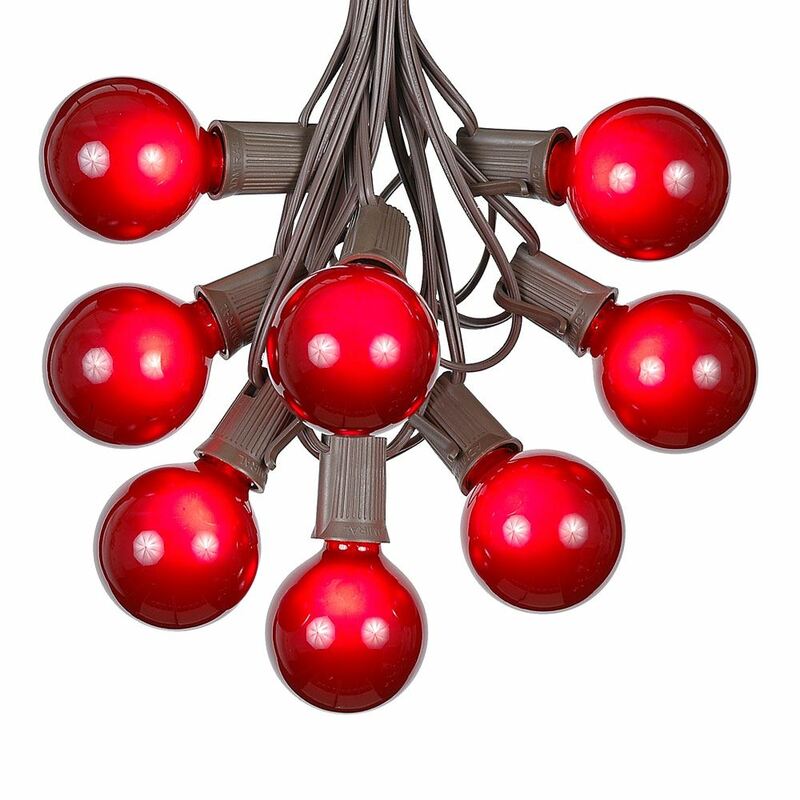 Each set includes 25 long life C9 painted ceramic bulbs on a brown wire stringer with 25 sockets that are spaced 12" apart. 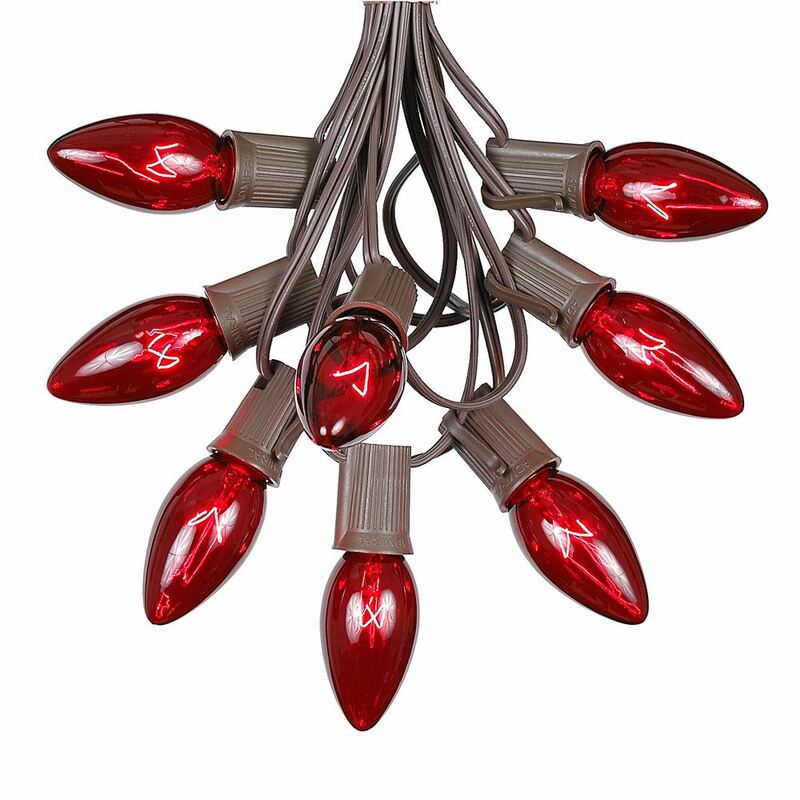 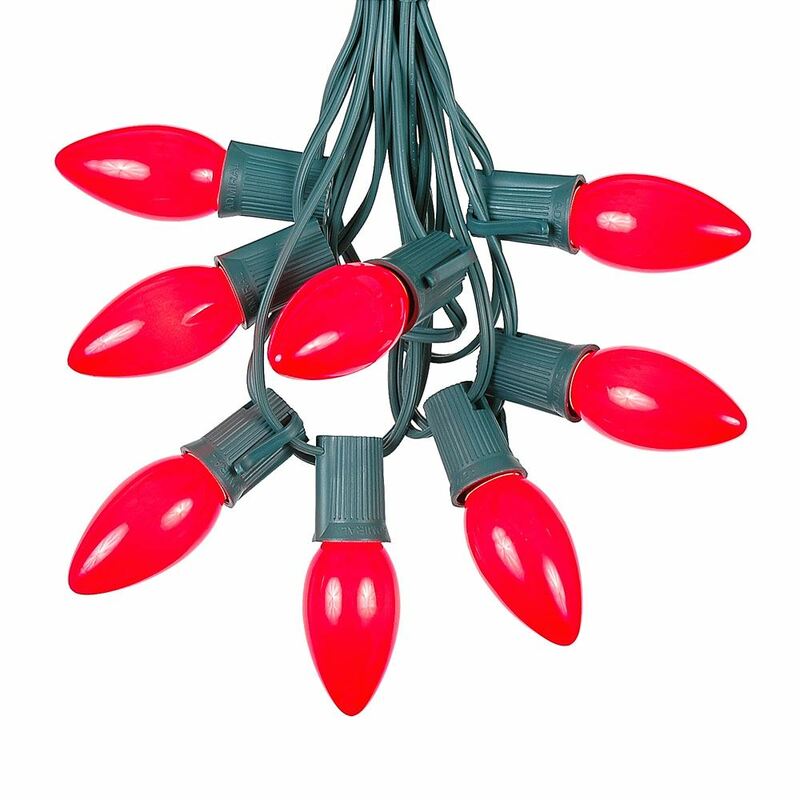 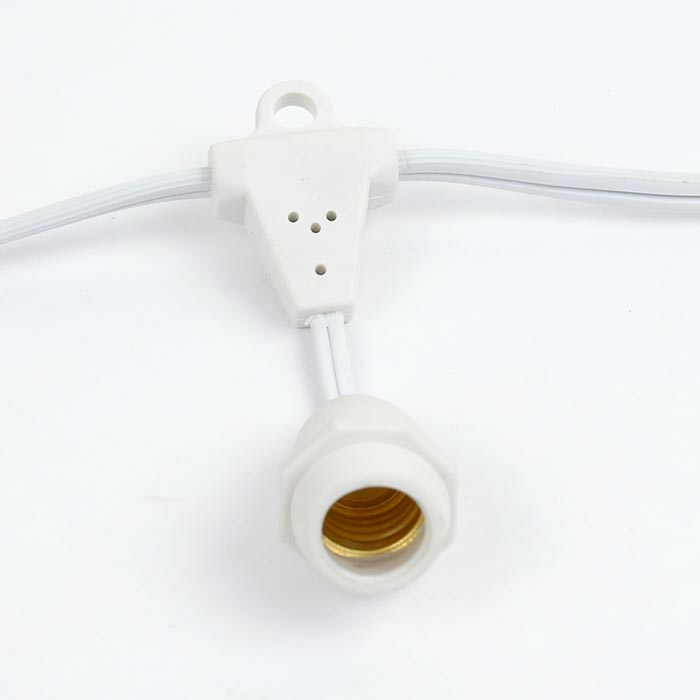 These durable white ceramic C9 light strings have long lasting 3000 hour bulbs and are on a 20 gauge brown wire. 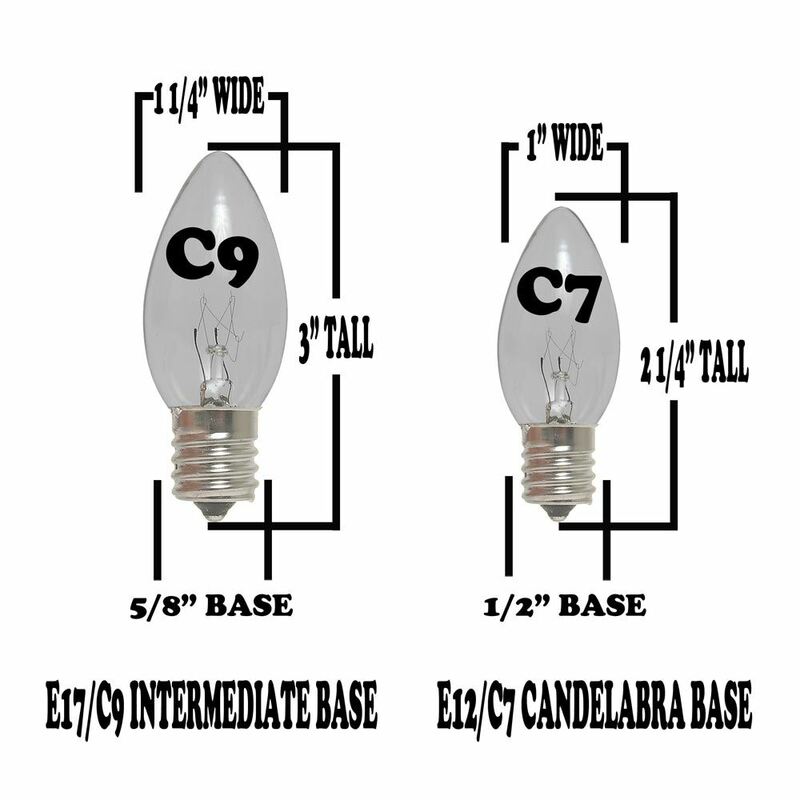 All our C9 light strings use patented Admiral Brand sockets. 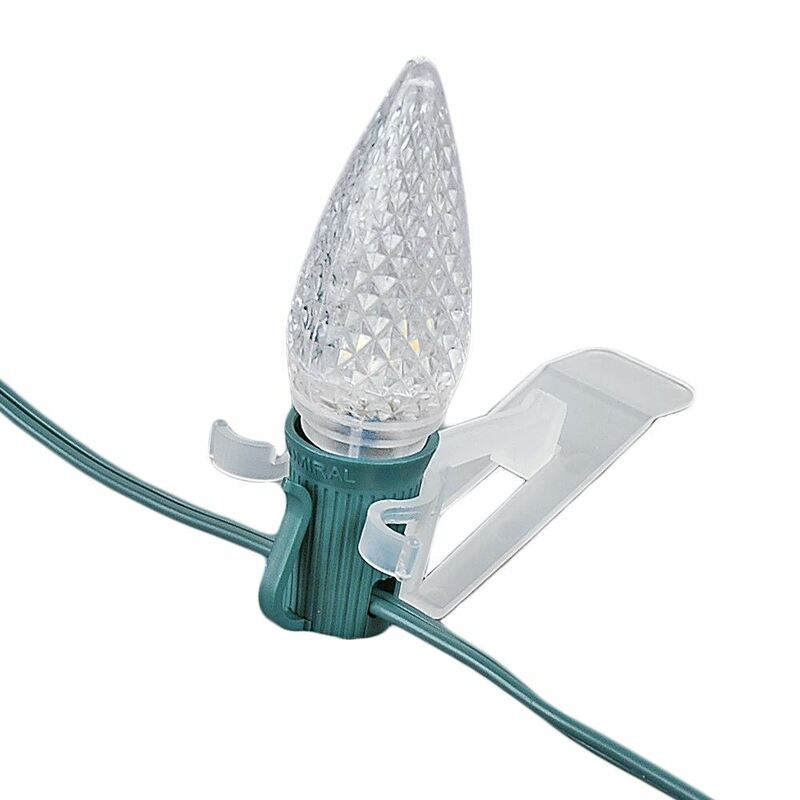 These durable and heavy duty c9 outdoor light strings will provide you with years of maintenance free use.